Ken Hitchcock was hired Tuesday morning, arrived in San Jose Tuesday afternoon and immediately got to work Tuesday evening coaching one half of the only game on the NHL schedule. Needless to say, a lot of eyes were on the new bench boss for the Edmonton Oilers in an effort to see just what this team might look like under his experienced — third-winningest coach in NHL history — eyes. Granted, there may be only so much a new coach can do with less than 24 hours to talk to the players, deliver his message and set his tone. Hitchcock didn’t even run Tuesday morning’s skate. That honor was bestowed upon Glen Gulutzan after the news of Todd McLellan’s release moved down the organizational totem pole. But, when the Oilers pulled out a 4-3 overtime win against the San Jose Sharks, there were some clear indications as to what the team, fans, and management can expect. Here’s what we learned about coach Hitchcock in one game. There’s no doubt Hitchcock has confidence in his abilities. He said he’d been through this before in St. Louis, he told the players he could get them to a place personally they wouldn’t be able to get to on their own but to do that, they’d need to buy in. Hitchcock added that there was no time for the team and himself to get through the awkward ‘get to know you phase’ as they had little time to turn things around and he would eliminate as many surprises as he could by the time the team played again on Friday. Keeping with his earlier statements, he told the team he was not always going to make things comfortable, he held players accountable, gave them assignments and then expected them to execute. He didn’t know everyone’s names and as a result, not every idea he had came to fruition but once he learned things or found ways to get his message across, he started to roll lines as he saw fit. One thing that was quite clear, Hitchcock is not worried about salary or surface appearances when it comes to how he’d like to use his players. A perfect example was Milan Lucic who he deployed as part of a heavy veteran line with Kyle Brodziak and Zack Kassian most of the night. Saying he wanted Lucic to get back to what he was as a junior player, he needed to lean on guys, use his size and affect the game in other ways besides scoring. Eventually, the goals would come. He said he sees Lucic as an effective third-line guy who will get some power play time. In response, Lucic had a better-than-average game. One of the knocks on McLellan is that he never would have put Lucic on the fourth line. Hitchcock did so in Game 1 of his tenure as coach. 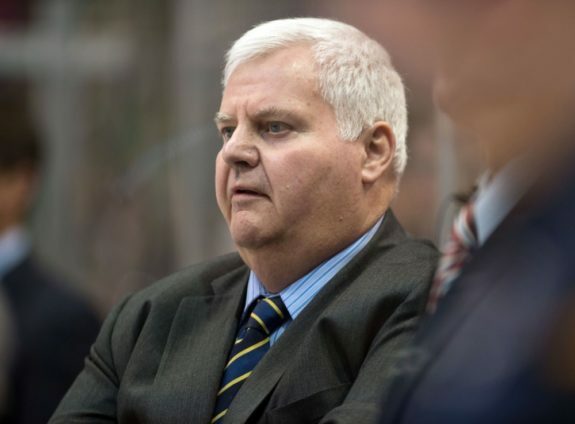 Another knock on McLellan was his use of Connor McDavid. There was some concern about the sheer amount of playing time McDavid received under the old coach and while the star for the Oilers played a lot on Tuesday (23:57), there were five more games where McLellan used him more this season. What I found interesting is not so much how much time McDavid actually played, but how often it felt like McDavid was on the ice. McDavid was double-shifted throughout much of the first and the third periods and Hitchcock’s reasoning behind doing so was the lack of power plays. He knows he’s got the best player and if he’s not tired or being used in situation where he’s not out there more frequently than a standard shift rotation, he’s going to roll him onto other lines as often as he can, using him against weaker opposition while elevating guys like Ty Rattie and Jujhar Khaira. This is good news for fans who were worried a coach like Hitchcock might be an offense sponge. Hitchcock knows the weapon he has at his disposal and he’s not afraid to use it. It’s not just McDavid he likes either. He called Draisaitl a dynamic player when it comes to his hands and seemed comfortable calling upon the German star often. There’s no doubt Hitchcock can be a hard-ss. He’s said so himself. But, if his comments after the game were any indication, he’s not lost on what these players might be going through. He knows Lucic is overthinking the wrong parts of his game. He knows McDavid takes on too much of the burden of this team. He likes the fact this is a young group, willing to buy in and get loud and boisterous. 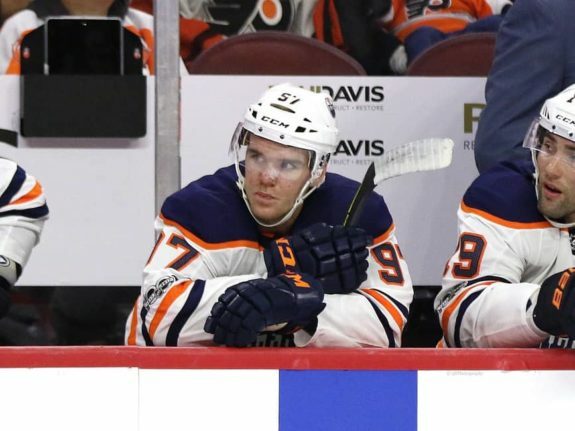 He even notices when his bench gets excited while watching their fellow teammates play — one example he used was his joy listening to the bench liven up when Draisaitl and McDavid got a step on someone. Of note, Hitchcock cited the difference between playing with your teammates and for your teammates and that he’s going to teach the Oilers how to play for each other. That’s no small thing. Related: Can Oilers Afford To Let Chiarelli Fix Problems? 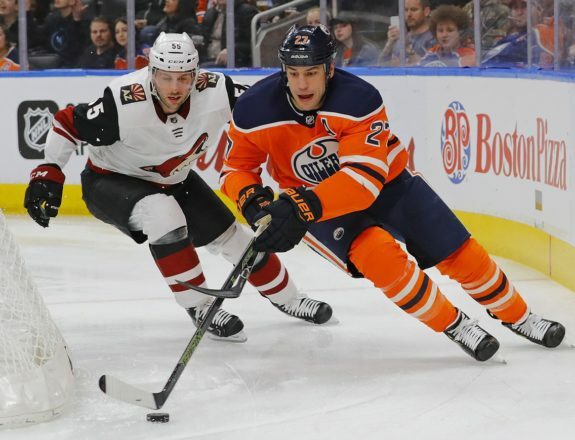 Nugent-Hopkins said that during the first intermission Hitchcock had things he wanted to be fixed and the players started to work on them. The coach asked the forwards to get San Jose’s defense to turn around to chase the puck and the Oilers started dumping and chasing. He expected them to lean on their opponents using their size and they did. Clearly, what he’s preaching the players are receptive to hearing. The question now is, can Hitchcock keep that attention for another 61 games?